Kathleen Ann Jakub, Retired Medical/Surgical Nurse at Hillman Cancer Center, has been recognized by Marquis Who’s Who Top Nurses for dedication, achievements, and leadership in Nursing. Ms. Jakub has been a collaborative practice nurse with the Hillman Center in the University of Pittsburgh Medical Center (UPMC) since 2009, the latest role in a string of care and management positions. She was a certified intermediate care and trauma nurse, with further certifications in otorhinolaryngology and conditions of the head and neck. She has worked in the UPMC since 1970, and spent three years as a case manager in the neurosurgery department. Ms. Jakub is a recipient of an Albert Nelson Marquis Lifetime Achievement Award, and was a member of SOHN and the American Trauma Society. 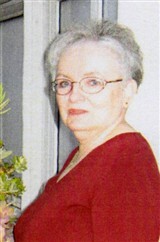 Ms. Jakub entered nursing with a diploma from the St. Francis School of Nursing in 1968, where she was a staff nurse of physical rehabilitation for two years. She completed a BA in administration justice and a BA in sociology from the University of Pittsburgh in 1979, and further earned a BSN there in 1992. While working as a patient care manager in UPMC, she earned a MS in professional leadership from Carlow University in 1996. Ms. Jakub is a Pittsburgh native. In her free time, she enjoys gardening, reading, astronomy and spending time with family.